Changing the way you create and share...digitally!! 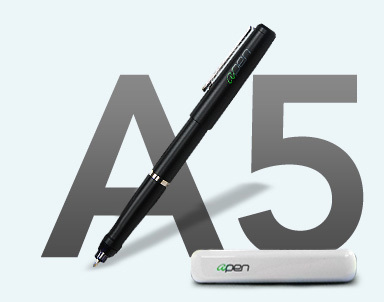 The A5 aPen is the easiest, most fun, way to get those ideas, notes, work projects, your next Picasso, or that funny doodle out of your head and into your iPad. It’s simple! It’s easy! It’s for everyone!! Simply plug the patented receiver into the 30pin connector on your iPad and launch one of several free Apps available on iTunes and you are ready to capture all your ideas and creations. Apen set come with a pen-shaped stylus, you'll find that taking notes is easier than typing, and drawing will be as simple and comfortable as using a pen and paper. A mouse is great for "point and click" - but it was never made to draw or truly be creative. You find that you're able to draw and create right on your iPad 1, 2 or new iPad like you've never been able to before on a computer. 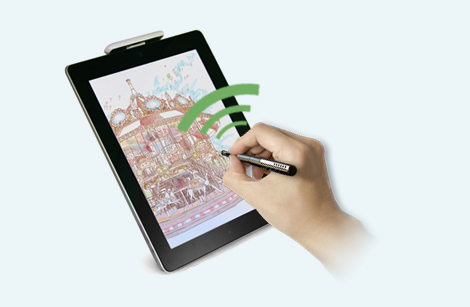 Because you are using a smart stylus pen, take notes in real time - in your handwriting. That means no more transcribing those notes into an email so you can share them electronically. Now when the meeting is over, email those notes before you even leave the room. 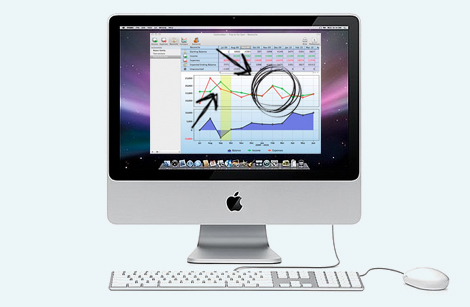 And you can add other visual info like dimensions or arrows that you could never add to a plain text email. Not only can you send friends and loved ones personal notes - in your own handwriting via email - but you can add your personal creativity to favorite pictures. Imagine taking that favorite photo of you and your friends on your last vacation together, and adding personal comments or humorous memories from the trip - all right on the photo. Then share that photo via Facebook, Flickr or any social / sharing website you want. Where to get the Apps? Click on the icons below to view the details. Lay your hand on the screen, and off you go(palm rejection). Upload your designs or documents directly from your iPad to your favorite social or sharing site.